Is It Time to Have Your Roof Inspected? After such a wonderful summer it is sad to say that the kids have returned to school and fall is just around the corner. This means that right now is the perfect time of year for you to book an appointment with one of our professional roof inspectors. If you suspect that your roof may be in need of some work, contact us and we’ll send someone out right away. The winters in Vancouver are very hard on homes and even the slightest leak or crack can be exploited by the high winds and heavy rains that are sure to be coming our way. The process is very easy. Simply complete our Request a Quote form and click submit. We will review your information and set up an appointment for one of our roof inspectors to visit your home. It won’t cost you a dime but it will give you some peace of mind knowing that you’re being proactive in the maintenance of your most valuable asset. Are you thinking that it might be time to re-do your roof? Is it starting to leak or just showing signs of wearing out? If so, a roof renovation is a big project and you’ll want to make sure you’re properly prepared. We found a great news item below that offers some great tips when considering a roofing renovation. That said, if you really want to make sure the job is done right give Macbeth Roofing a call. We will send someone out to inspect your roof and give you an honest appraisal of what needs to be done. We can be reached at 604-593-1044. 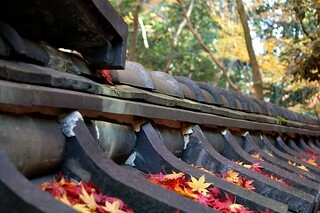 Sad to say but fall is just around the corner and it is the perfect time of year to do a quick inspection of your roof. With the changing of the seasons and the falling of the leaves it is very likely that your gutters have been clogged by the time October rolls around. Rather than having to do any major repairs in the spring, here are some suggestions as to what to look for when inspecting gutters. Of course, not everyone has the time nor inclination to hop on a ladder and inspect a roof. If you’re the type that would prefer to have a pro do this for you, be sure to give us a call. We’ll send someone out to take a look at your gutters and do a full roof inspection as soon as it is convenient. Summers in Vancouver are a great time to take care of nagging little tasks around the home. One of those tasks could start off as something “little” but turn into a huge problem if ignored. That, of course, is your roof. The following is some good advice on inspecting your roof for potential problem areas. Key takeaway points are to keep safety in mind at all times, an ounce of prevention is worth a pound of cure and when in doubt contact the experts for a professional opinion. Always look for water stains on the walls inside your home as well. With our wet weather, any markings on the inside of your home are an indication of a leaky roof or windows. Contact us at 604-593-1044 if we can be of any assistance. On October 1, 2011, Wade Wagar, the owner of Macbeth Roofing, passed away of cancer. Wade was a long standing work colleague of the Klondike Contracting team and a great friend to all of us who were blessed for having known him. His larger than life exuberant personality, love of people and incredible appreciation for life will forever remain in our hearts. We will all miss Wade’s ability to make us laugh with his zany one-liners and incredibly upbeat and positive energy. His appreciation for life was infectious! It did not matter how busy we were, whenever Wade called he always managed to put a smile on our face! All of us at Macbeth and Klondike truly miss our friend “Air D” – the name Wade often liked to be called in consideration of himself as a modern day superhero, which he truly was. He really loved helping people in need, especially in his chosen profession, always coming to the rescue by bringing an immediate stop to the water coming into his clients’ homes. When Wade or one of his crew members was on the job, you knew you were in good hands & did not have to worry! Wade was also an amazing father and husband. His love for his wife Cindylee & two sons Matthew & Scott radiated from within his heart and all over his face. Wade was a great man that we all deeply respected for his tireless work ethic, integrity, appreciation of people and love of life! We are all better human beings for having known him. Although his time on earth was cut short, his impact will be forever felt in our hearts! We all miss you Air D – our real life superhero! We have set up a memorial fund in Wade’s honour. Since 1991, Macbeth Roofing has been proudly serving Vancouver and Lower Mainland communities with expert residential roofing and commercial roofing services. And we look forward to continuing our tradition of affordable and quality roofing services for the next 20 years. We believe that quality workmanship, combined with quality roofing materials and expert installation methods is the key to our success. Our roofers are qualified ticketed journeyman or registered apprentices who will work on your roof in a safe and timely manner. We have an ongoing program of product and procedure training, which ensures that our Team is installing the best product for the job. We listen to our customers needs, answer their questions and ensure that we’ve got the best solution for them. Whether installing a new roof or extending the life of your existing roof with preventative maintenance, we understand the importance of performing the job in an efficient and cost-effective manner. We want you to be as proud of your roof when we’re done, as we are. Thank you to all our valued customers and look forward to serving you into the future! Macbeth Roofing is an accredited member of the Better Business Bureau of Lower Mainland BC, with an A+ rating. We pride ourselves to assure professional roofing installations and unrivaled customer service to residential owners and businesses throughout the Vancouver area. Our skilled roofing team is trained to provide thorough inspections, detailed estimates and durable installations, which are the key to maintain a positive working relationship with our customers and carry out a professional roof installation. We are proud of offering the appropriate advice to our residential customers, business owners, property / strata managers, roofing inspectors and general contractors across greater Vancouver. The Better Business Bureau, founded in 1912, is a corporation consisting of several private business franchises of local BBB organizations which work together through the Council of Better Business Bureaus (CBBB). The BBB goal is to foster a fair and effective marketplace, so that buyers and sellers can trust each other and consumers can trust the services they provide. The BBB analyzes and reports information on business reliability, alerts the public to fraudulent business activities, provides information on ethical business practices and act as mutually trusted mediator to resolve consumer and business disputes. 2-ply SBS roof system – also known as Torch-on Roofs – is one of the most popular commercial roofing systems which involves torched layers of polyester and fiberglass reinforced SBS membrane. This roofing system provides a durable and affordable solution for our commercial customers. To complete this project, we had to break up 3 inches thick of large concrete pavers over the entire area in order to remove the existing EPDM membrane. We are proud to have had the opportunity in installing a 2ply system for the Bank of Montreal in downtown Vancouver. This project involved a standard system installed over drywall and metal Q-deck. Although technical in nature, the project went smoothly & to our client’ satisfaction despite a few challenges with the weather!!! If you are looking for professional and affordable commercial roofing solutions, contact us today – we look forward to serving you. We are proud to have had the opportunity in installing a 2-ply system for The Listel Hotel in Vancouver. This project involved installing over drywall and metal Q-deck. Although technical in nature, the project was completed smoothly, on time and on budget to our client’s satisfaction. 2-ply SBS roof system – also known as Torch-on Roofs – is one of the most popular commercial roofing systems which involves torched layers of polyester and fiberglass reinforced SBS membrane. This roofing system provides a durable and affordable solution for our commercial customers.